334 pages | 37 B/W Illus. Informality is ubiquitous in most developing countries. Understanding the informal economy is therefore of utmost importance from a political, economic and social point of view. Paradoxically, despite its economic importance, knowledge is extremely limited regarding the informal economy. It remains largely unrecognized by researchers, is neglected by politicians, and is even negatively perceived as it is meant to disappear with development. This book aims to amend this situation by presenting recent high level research which studies the informal sector and informal employment. Fresh research into this subject is presented through empirical analysis which covers Asia, Africa and Latin America. Each chapter relies on data and a detailed knowledge of the context of the countries studied in order to question the dominant schools of thought on the origins and causes of informality. The results provide interesting insights into the constraints faced by informal workers, the dynamics of the informal economy and its link with poverty issues. On the basis of the evidences provided by results adequate policies could be defined to address informality issues. The principal characteristics of the informal sector testify to some profound similarities between developing countries: low qualifications and the precariousness of jobs, mediocre incomes and working conditions, atomization of production units and lack of articulation with the formal economy, etc. 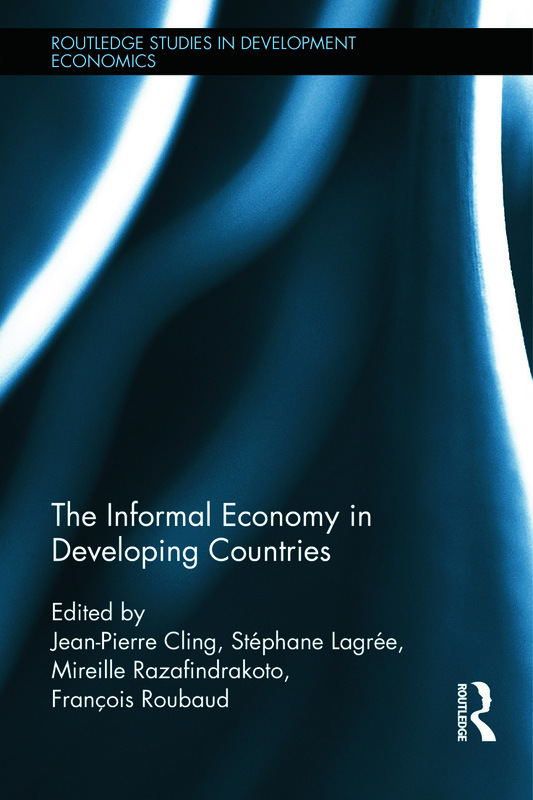 This general statement does not contradict the observation that there is a high level of heterogeneity in the sector and in informal employment within each country, confirmed by several chapters in this work. In the absence of a sufficient number of job creations, the informal sector essentially constitutes a refuge for workers seeking and is here to stay in the short and medium term, even in emerging countries. Jean-Pierre Cling, economist, Ministry of Foreign affairs, Paris, and associate member of DIAL (mixed research unit IRD/University Paris Dauphine), Paris, France. Stéphane Lagrée, coordinator of the bureau for francophone cooperation, Vietnam Academy of Social Science, Hanoi, Vietnam. Mireille Razafindrakoto, senior researchfellow at the Institut de Recherche pour le Développement (IRD) and a member of DIAL (mixed research unit IRD/ University of Paris Dauphine), Paris, France. François Roubaud, senior research fellow at the IRD and a member of DIAL, Paris, France.